NISSAN QASHQAI 1.5 DCI 110 CV TEKNA PREMIUM. NISSAN QASHQAI 1.6 DCI 130 CV Tekna Premium 360. NISSAN QASHQAI 1.6 I 115 CV. AUDI Q3 2.0 TDI 140 CV. NISSAN QASHQAI 1.6 DCI 130 CV Tekna Premium. 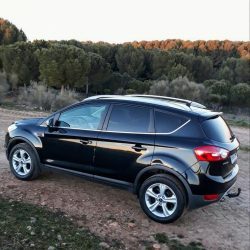 NISSAN QASHQAI +2 1.6 I 115 CV 7 plazas. OPEL FRONTERA RS 2.2 DTI 16V 115 CV.